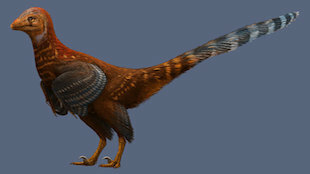 Palaeontologists report their findings of Galeamopus pabsti, a new sauropod, and Jianianhualong tengi, a small feathered dinosaur. Artistic reconstruction of Galeamopus pabstiDAVIDE BONADONNA (MILAN, ITALY)Sauropods were large, herbivorous dinosaurs with long necks and whip-like tails that roamed the earth during the early Jurassic period, around 150 million years ago. Palaeontologists reported a new member of this group of giants, Galeamopus pabsti, today in PeerJ (May 2). 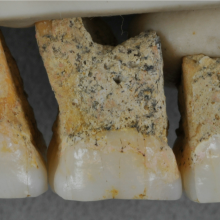 Researchers excavated G. pabst more than two decades ago in Wyoming. 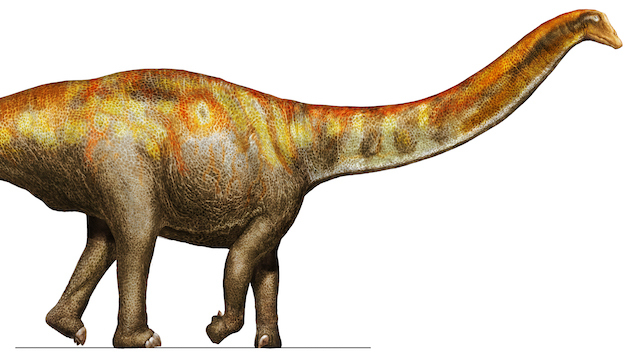 However, the dinosaur languished in obscurity until a pair of palaeontologists, Emanuel Tschopp and Octávio Mateus, examined its skeleton and identified the specimen as a sauropod—a group that also includes the well-known brontosaurus. In another study, published today in Nature Communications, scientists described Jianianhualong tengi, a three-foot long, five-pound featured dinosaur that lived during the early Cretaceous period (100 million to 150 million years ago). 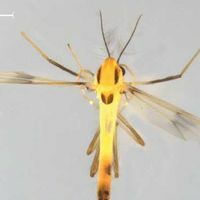 “Strangely enough, the asymmetrical feathers are on the tail,” Steve Brusatte, a vertebrate paleontologist at the University of Edinburgh who was not involved with the study, told Live Science. “Does this mean that Jianianhualong was using its tail to fly? It’s hard to be sure."